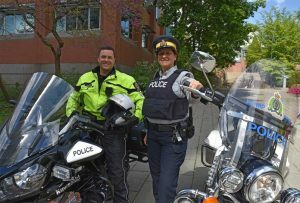 A free motorcycle skills challenge offered by Port Moody Police and Port Coquitlam RCMP will take place on May 27th at the ICBC Driver Licensing Office in Port Coquitlam. Skills consist of controlling the bike through an intersection, driving a figure-eight pattern and weaving through a slalom course. Any rider with a valid class 6 motorcycle licence, a street-legal motorcycle and wearing appropriate safety gear will be permitted to participate. Police motorcycle riders from Port Moody Police and Coquitlam RCMP will be there to provide tips and guidance to riders. When: May 27 from 10 a.m. to 3 p.m.
← ICBC Excess Underinsurance – Buy It?